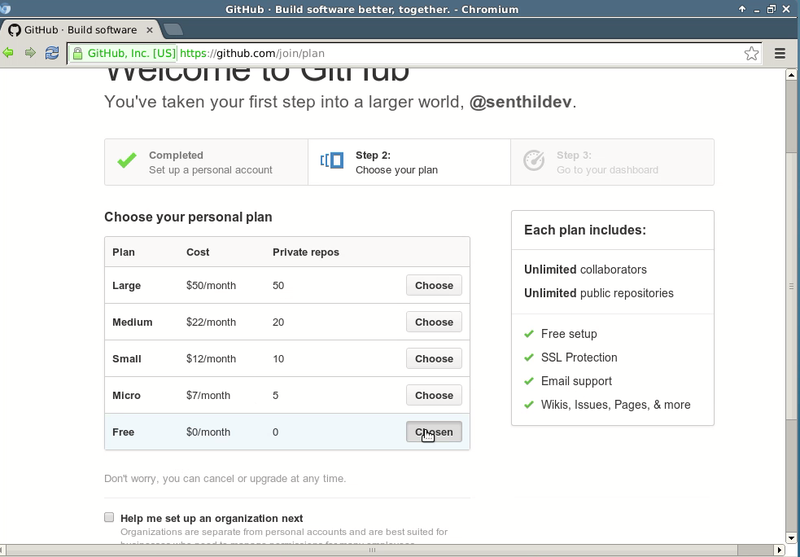 In this post I am going to explain about how to setup your Github account and Show your code ability to the world. 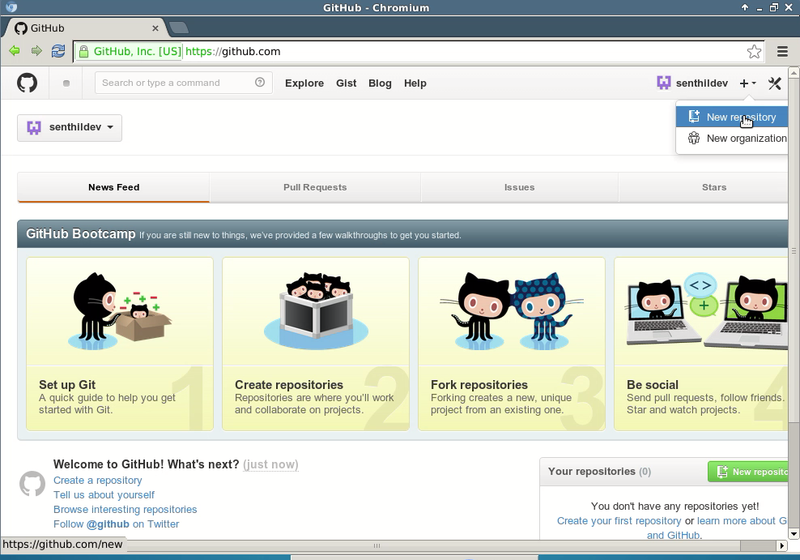 Github is one of the most important developments in software over the past five year. The site began in 2008 as a simple frontend for the open-source GIT distributed version control tool. It was similar to code repositories like SourceForge, Google Code, or Bitbucket But Github has transcended the category to become an institution in its own right. Features that is pioneered are now crucial tools for any group software engineering work. It is now the world’s largest and most dynamic repository of open-source code, and a strong Github account has become more important than your CV or formal education for the most cutting-edge technology companies. 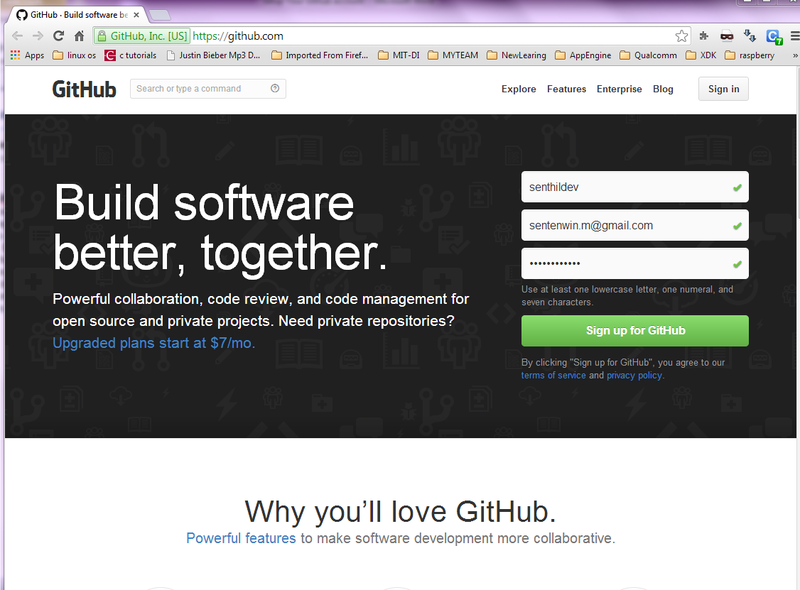 Click here to open the github website. Select your account type as free. If you are corporate you can select the paid account service. 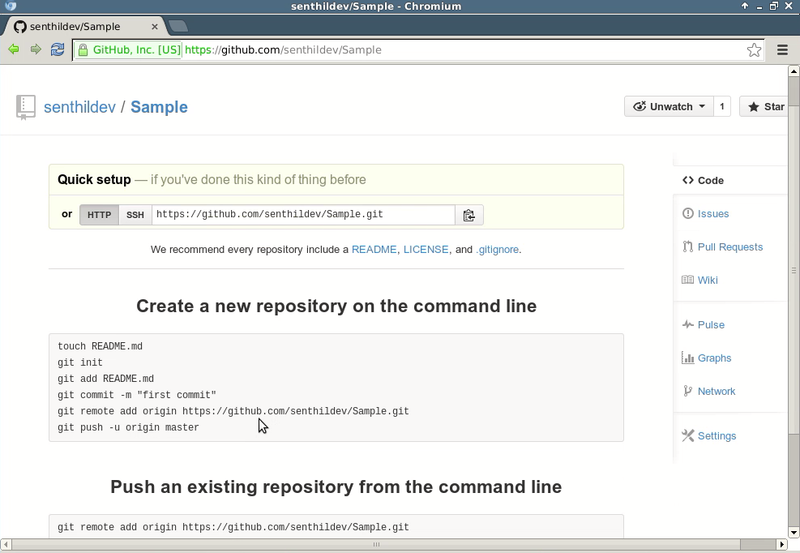 Add the description of your repository. For private repository you have to select the paid service. 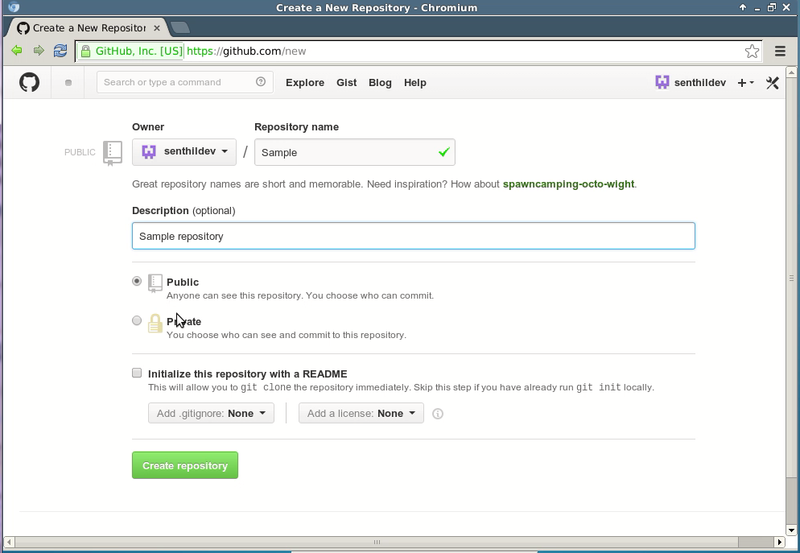 Click on the create repository button. 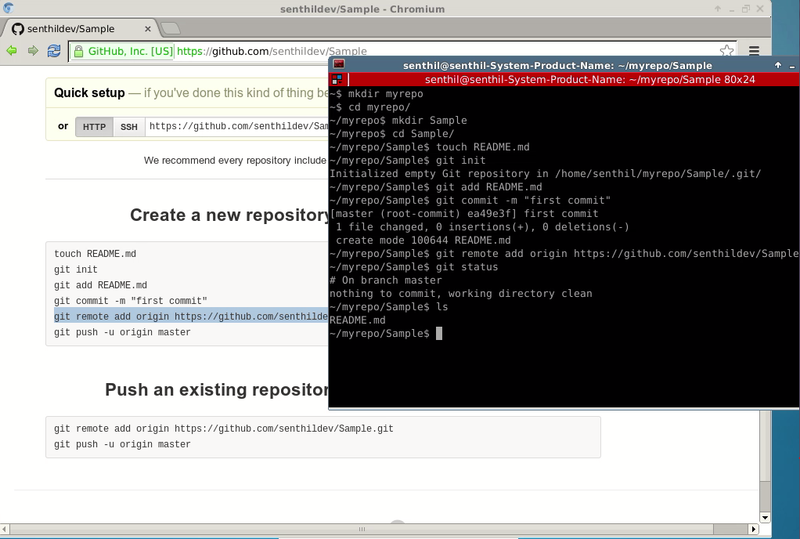 Setup the local repository on your machine. Executing git push –u origin master will through an error. 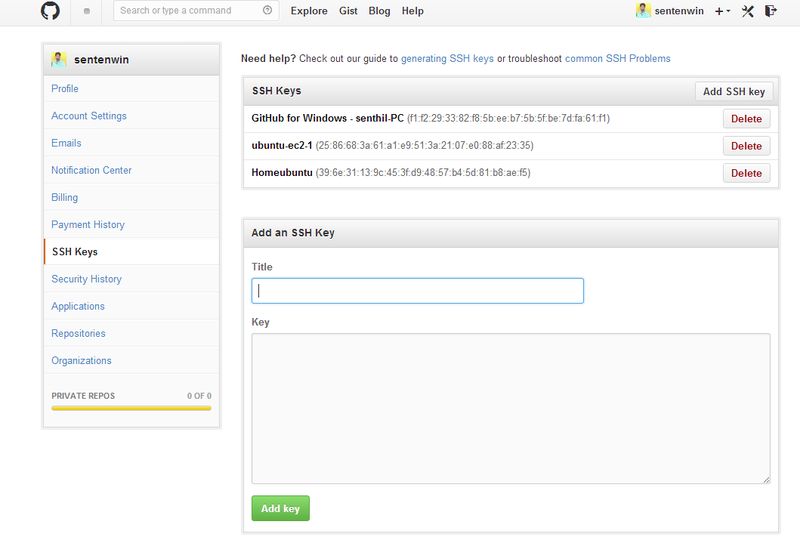 Run the following commands to generate the SSH keys. thanks for this manual it's very complete. Completed my degree what next?